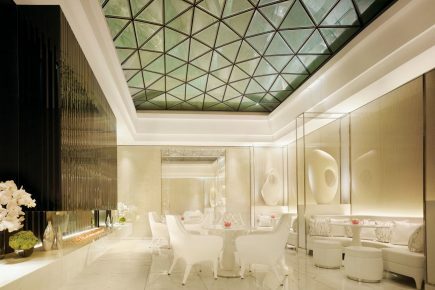 The Corinthia hotel is home to the ESPA flagship spa, a sumptuous haven set over four floors. ESPA Life has brought together a team of the world’s top experts to develop their range of complimentary therapies, fitness and wellness programmes. Day spa packages have been created for guests to experience the most effective and luxurious ESPA Life treatments in breath-taking surroundings. The spa features 17 treatment rooms, a private spa studio and nail and hair studios, all led by a globally acclaimed team of naturopaths, traditional Chinese medicine acupuncturists and herbalists, osteopaths, personal trainers and spa professionals, ready to tailor Lifestyle Programmes to promote optimal health and wellbeing. 17 treatment rooms, sauna, steam room, thermal floor, gym, nail studio, The Spa Lounge eatery, Daniel Galvin hair studio.